The weather is getting warmer here in Morocco. The sun is shining the whole day and providing us warmth. 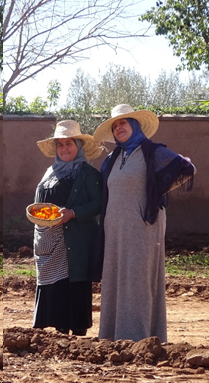 Yesterday, HAF project director Amina El Hajjami and I went to visit the Aboghlou Cooperative in Ourika. HAF began working with the women in 2015/16, using a participatory approach and training to identify the skills, capabilities, priorities, potentials, and resources that the women have. 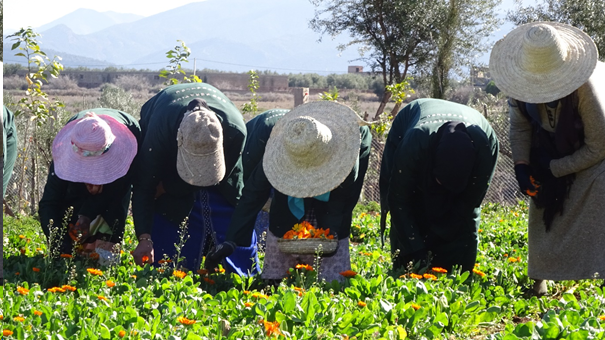 Fruit trees and medicinal plants grow very well in the Ourika region because the soil is very fertile. To generate their own income, the women developed the agricultural “Agboghlou Cooperative” there. 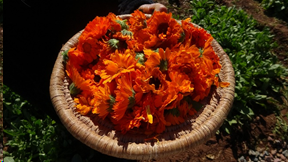 On Wednesday, February 13, we accompanied the women on a visit to the field where the cooperative grows their crops to join them in harvesting the beautiful, orange calendula flowers. 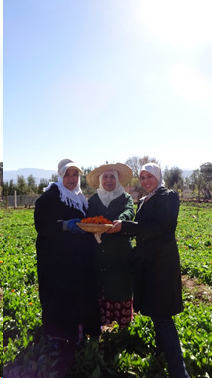 The Aboghlou cooperative consists of 33 women, and they produce products like calendula, walnut leaves, geranium, verbena, pomegranate, jasmin, and althea. They are increasing their production and selling rate each year. 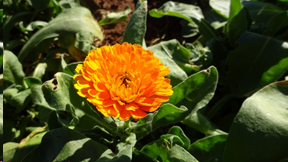 For example, they produced 63 kg of calendula in 2017 and 163 kg in 2018! In the future, they want to continue improving the quantity and variety of products. Moreover, their vision is to generate products like carob, fig, almond, lemon, and olive for the local markets as well.